People have basically said, “if you want it to play *everywhere*, your best chance is Video CD.” It's true. I can get these to play in my two DVD players, and both of my Blu-ray players. Doesn't look bad, either. I like it as a good alternative and fail-proof backup of transferring VHS videos to something. 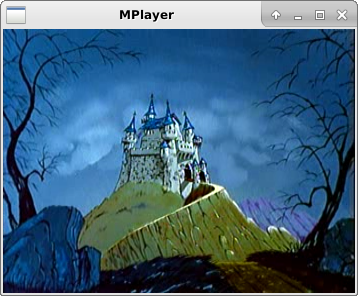 Play it back using MPlayer. This part confused me a bit. You have to pass the .cue file as the CD device, and then specify 2 as the track to play for the first video. It won't default to it. If there are multiple tracks on there, you can jump using chapters key press – @.